The Roberts R6280 4 QT. Multi-purpose carpet and sheet vinyl adhesive and glue is a solvent-free adhesive. It can be used for installing mineral or felt-backed sheet vinyl, latex foam-back carpets and other types of flooring. 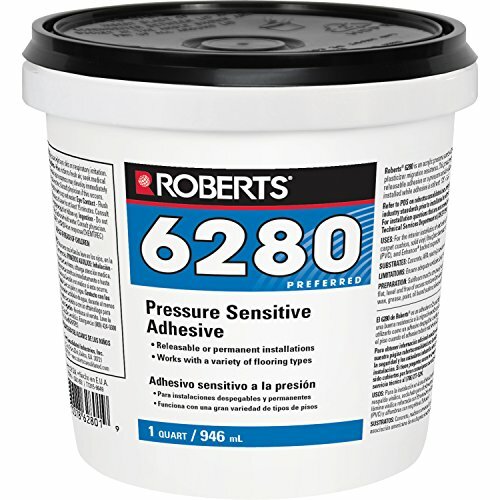 This product may be used as a releasable adhesive or a permanent adhesive.